On a Thursday, take nine pieces of Gopi Chandan. Tie each of them with a yellow color thread. Later tie the nine pieces of Banana trees. If this is done when there is pushya nakshatra on Thursday (Guru Pushya Amrut Yoga), then it is considered highly meritorious. The person performing the ritual should take bath in the morning. First, the person should offer prayers to Ganesha. Then he should offer prayers to Vishnu, Lakshmi and Kuber. Gopi Chandan should be tied on to the banana tree in the morning. Do not use cut banana tree. Tie it on a live banana tree. 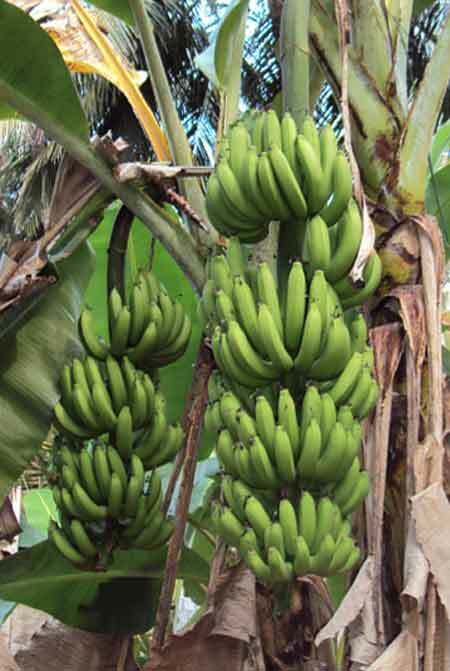 While tying on to banana tree, the person should pray for the fulfillment of the wish. This process will help in solving financial problems. Money, which remains blocked, will be released. All problems related to property, wealth, ancestral wealth and finance will be solved soon.